© Claire Morgan photographed by David Holbrook. In my studio in Gateshead, working on a new painting. I would guess I am probably the worst person to live with. Moments when I have experienced true peace and happiness. Everywhere - nature, culture, society, geography, change, watching time pass and the effect it has on all of these other things. 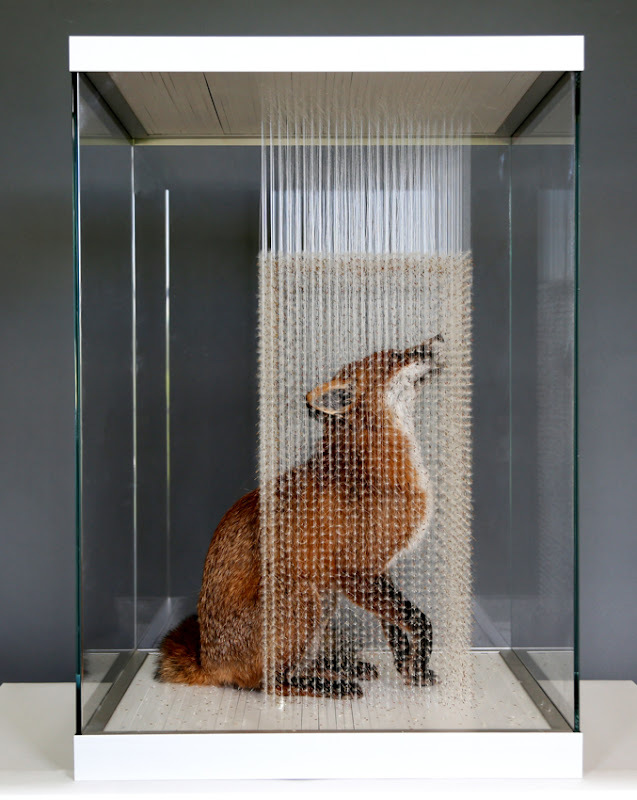 Claire Morgan - "Solid Air" | (2015), Fox (taxidermy), dandelion seeds,nylon, in a glass cabinet; 83 x 56.6 x 56.6 cm (h x w x d). I make everything in my studio, but often my inspiration comes more easily when I am elsewhere, especially when I am outside. I would usually say autumn, but at the moment probably spring. The colours of autumn and the sombreness of it are beautiful, but spring is very exciting. The trouble and hatred that is caused by ignorance and greed. Spending time with my four cats. 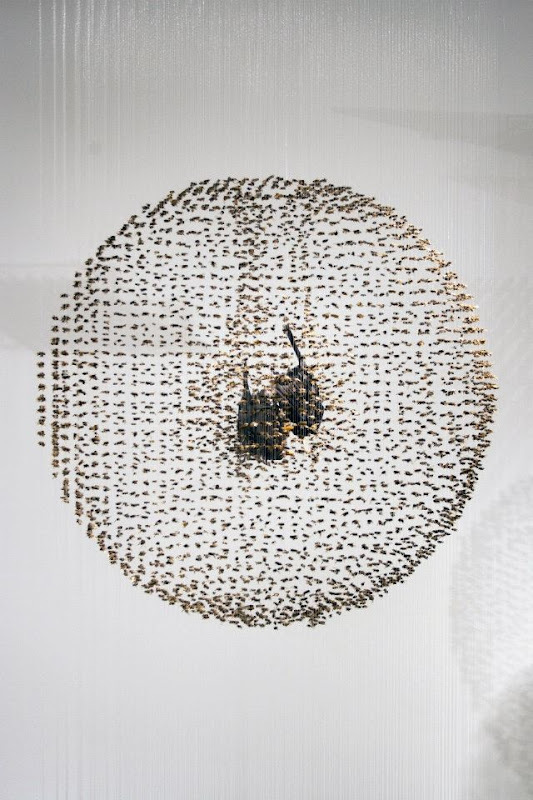 Claire Morgan - "The Birds and the Bees" | (2012), Honey bees, taxidermy blackbirds, plant pigment (saffron), nylon, lead, acrylic; 240 x 84 x 84 cm (h x w x d). Patterns - Colours - Patterns. "Infinite Jest" by David Foster Wallace. Bjork and David Foster Wallace. I think it is more valuable to feel something deeply as a response to art, than to think about it on an intellectual level. I am listening to these albums: Aphex Twin - Syro, Radiohead - A Moon Shaped Pool, Bjork - Vulnicura. I try/need to be in control. 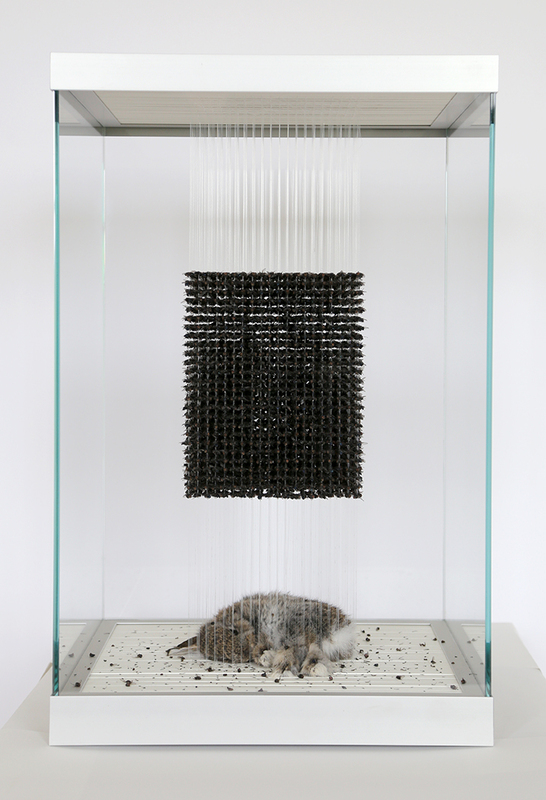 Claire Morgan - "That's All Folks" | (2015), Rabbit (taxidermy), Bluebottles, nylon, in a glass cabinet; 73.4 x 46.6 x 46.6 cm (h x w x d). I can't think of any, though I do swear a lot. Is there anything you don't like to wear at the moment? Claire Morgan - "Throe" | (2010) Rooks (2, taxidermy), thistle seeds, nylon, lead, acrylic; 300 x 180 x 180 cm (h x w x d). 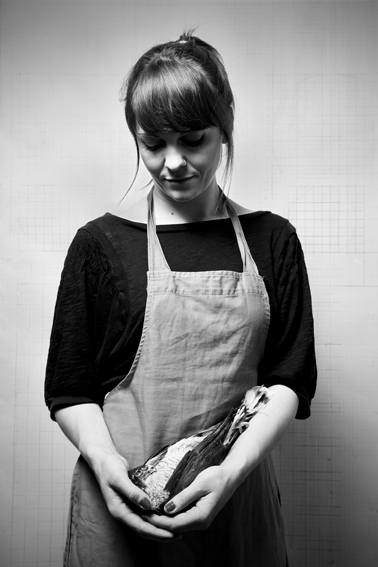 Thank you very much, Claire Morgan! 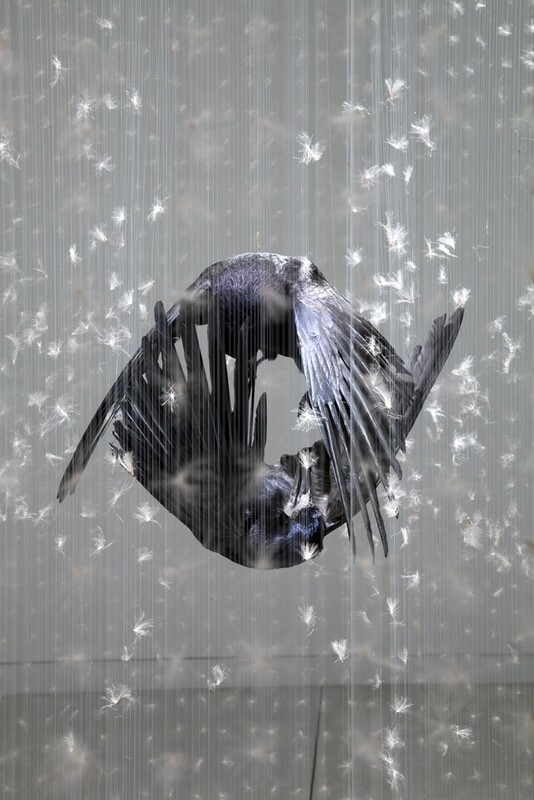 Images/Credits: Claire Morgan | Courtesy Galerie Karsten Greve, Cologne, Paris, St. Moritz.